Over the years. 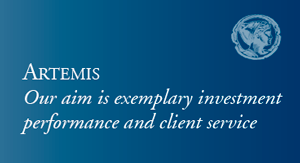 Theo artemus strategic assets fund under your aegis has held some pretty striking positions. Whether it's being pretty steadily actually short off japanese government bonds or whether you've been a great gold bug or not and so on off late there you've taken by your standards quite a striking position in uk equities you've been buying them as opposed to selling them or shorting them. That is let us say a contrarian view at the moment when as one of your colleagues says uk visa is popular north korean tourist brochure. Why have you done ? This will well in some ways. That is the reason you can't have come deeply unpopular, especially on a global basis. So a lot of global investors, especially americans. I think will literally saying we can't invest in this country until brexit is is sorted out, because if they get a hard brexit there, they will there be more fearful of investing in the uk. I think this is just just wrong because in my view, if we get a hard brexit, which i think unlikely if we were to get a hard brexit, imagine shares will go down to start with but in time we would sort things out and the idea of the uk economy is all you ever suddenly worth thirty percent less because of a hard brexit is wrong with me. We will we will find ways to trading with europe the rest of the world. We will be buying european products because they want to sell to us. It's just capitalism works in that way. I think people got too pessimistic about the outlook a safe. Somehow, we're going to stop trading. I think that that is just wrong on the price earnings ratios of a number of british equities, especially domestically focused ones, are so low. Now they reached levels, which have not been seen for a long long time. And that's against the context of a backdrop of say american experts, which were really quite highly valued and done extremely well. We look at the gap between how one american actresses done versus british actually is on on a ten year view. It's quite startling that they think they've almost doubled vs. Bridge equities. That's sze farty greater level. If you actually were mohr value very much your two american actress, i wouldn't be so interested, but it's the cheapness of the prices, which has got me attracted, but will history is littered with incidents off investors, saying this market is so cheap. I meant, but then guess what they get cheaper. Still, it's called the value trap isn't it are you in ? Are you in one ? It's possible if we had a hard brexit tomorrow, i suspect it's a pretty shares would go down, but i think they would go down not very far because people are so ready to his event. People have been talking about it so long. I think they would get down and they go up up very soon. Afterwards and value traveling value traps mohr related to individual shares so retailer good example. Now they've been value trap for a long time for a new form of competition online. Come along which is rendered some of the many companies completely unprofitable a lot of paths that that is a traditional value shop you still buy shares on lopes. The outlook is bad, but for a whole country to be on sale on ecklie basis is unusual unless assigned fundamentally wrong with it. Andi you don't think i just had to see that no, no not from not from brexit. Well has the weaker pound driven you towards exporters more a little bit. But that's that's in the price in some way. So the big global stocks, which we have some our price, according. It's the it's the really cheap shares the one where they are uk domestic and the pound helps them as well. Because when a currency goes down in access is sort of an outlet for making things better for everyone. So we stayed in london here. There are so many tourists in london now because that sounds a lot like they spend money, and they're going to spend money on british hotel companies on dh lesser companies, for example, which are clearly domestic. So it's it's not the the foreign currency only helps the exporters helps it helps everyone. It comes at a price because it means it's more expensive to buy overseas products such as oil, for example, so it's not a it's not a panacea, but it, but it makes live relatively relatively better given your by your standards. If i may say so very optimistic positioning ray uk equities on brexit what those is your view on the clear political risk. I don't mean brexit. I mean a change a material change of government the collapse of the may coalition for one reason or another. Yes, that's a complex question. Complex answer the any form of government is probably fine, except for in my view, a hard left government on dh that is a strong possibility because the labour body now are by any historic sanders extremely left wing. They are widely regarded anti business. They've got a agenda which i don't think the currency would like or equities it like so you have to make your own assessment off the probability off them of there. Getting getting power and for that i usually go to the book is where they're still quite heavy odds against actually, in fact, for the next election. The forecast is a hung parliament again with the no party is odds on too teo when the most overall majority at the next election. So i've just taken of you there, and some off the weakness in uk shares will be down teo. Korben recipe called it because they're not americans. I think ah even more jumpy than people in the uk because they that is a extreme left wing. Governments tend not reduce good returns for actually holders, but on balance clearly your position of position to portfolio with a view to a maintenance of some form of the status quo.